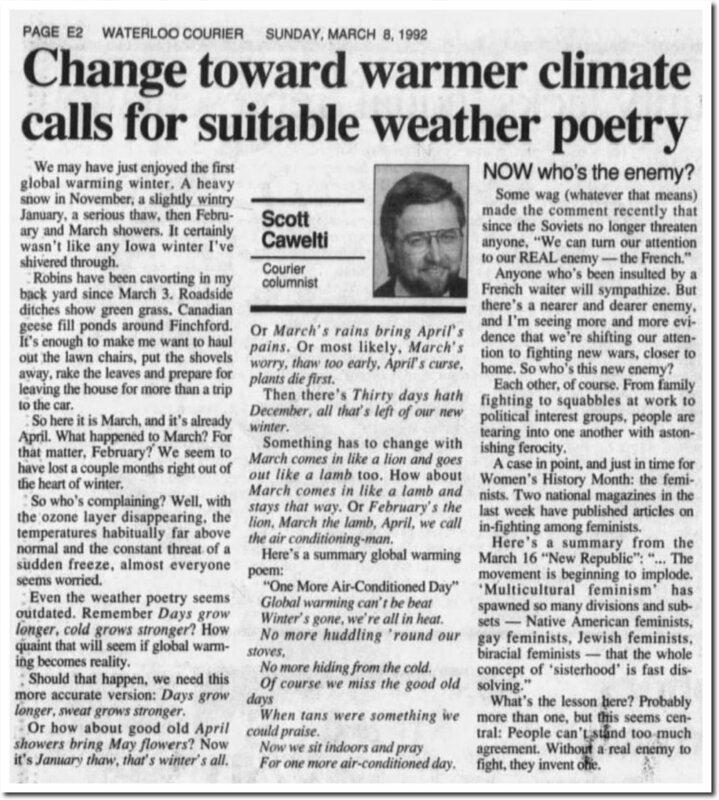 In 1992, global warming meant warm winters in Iowa. In 2006, global warming meant endless summer in the Northeast. 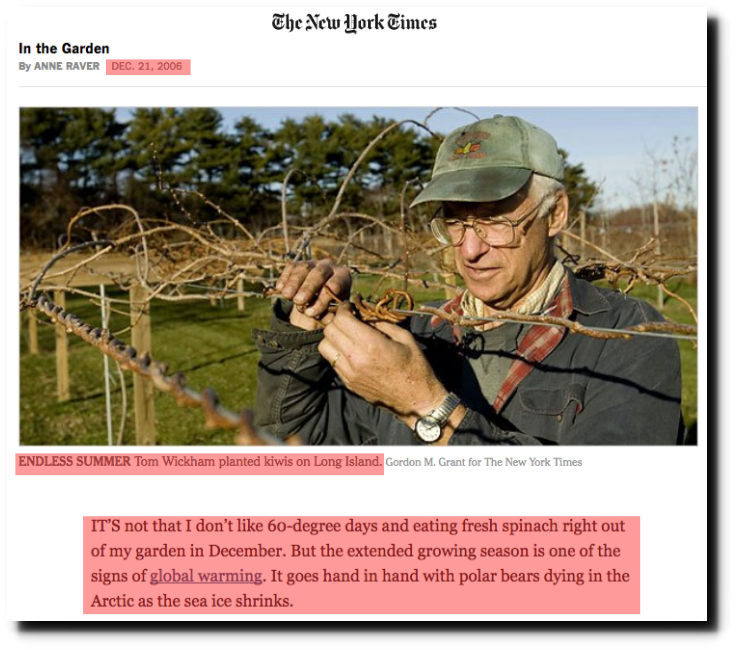 But now, global warming means record cold winters, and they predicted it all along. Experts have this all under control though. Global warming makes the stratosphere hot. 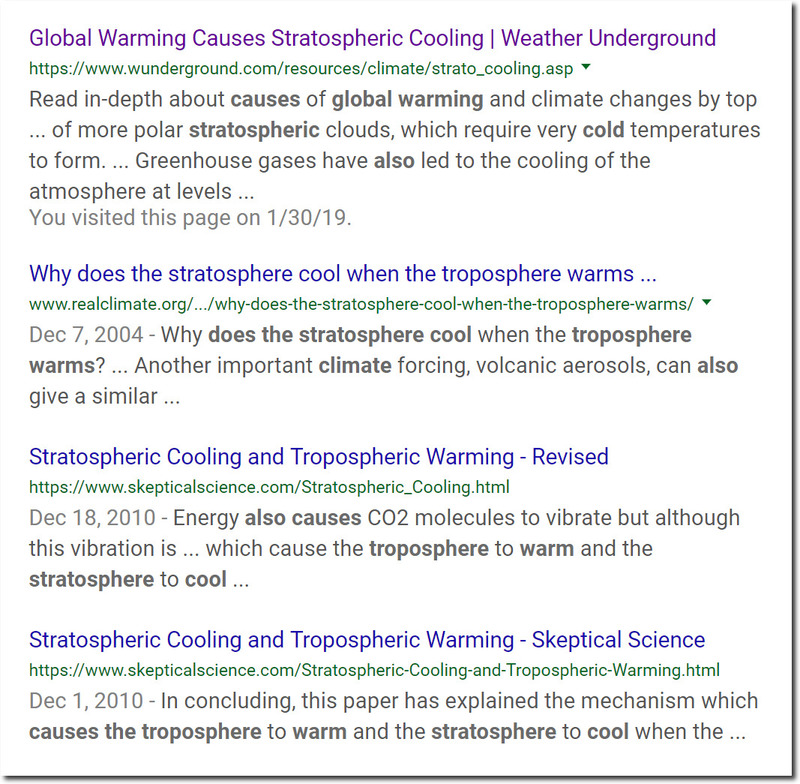 Global warming also makes the stratosphere cold. CO2 is an incredibly powerful gas. A one part per ten thousand increase over the last century causes every and all imaginable outcomes, and can rewrite history. What a “super hot” Arctic feels like: If you live in Minnesota, step outside. 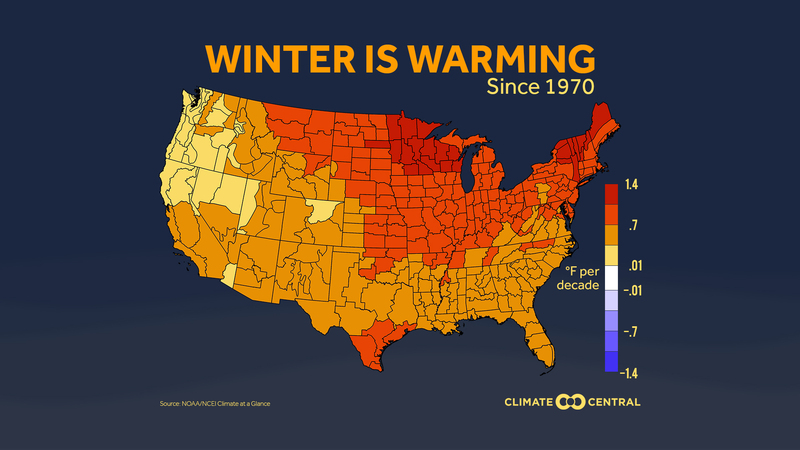 Interesting, since northern North Dakota and Minnesota just set some new cold temperature records. Someone is getting quite creative with their crayons these days. Well that map covers three months, Dec, Jan & Feb, so ~90 days in total so a few days at record lows won’t necessarily lead to a colder than average winter. Chicago’s high will be ~40 on Saturday ~45 on Sunday and 50 on Monday compared with a 33 average. Hank Kunneman prophecied that 2019 would be a year of extremes. Hang on to your hats. There will be extreme rainfall and flooding. I’m writing it down and watching. He said nothing about global warming. Every year is a year of extremes. It is like predicting the sun will rise in the east. 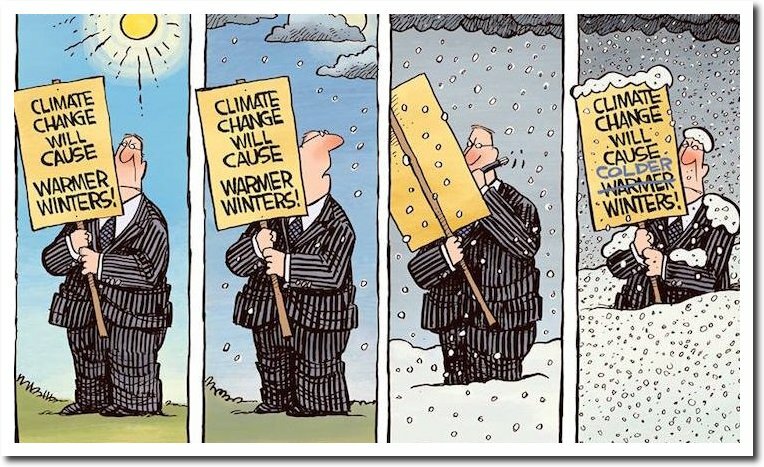 See a “scientist” pontificate about “How the polar vortex is connected to global warming” on EarthSky. She knew it all along! When the ice sheets reach Chicago, they will blame it on human caused global warming. And the idjut will tell you, with a straight face, of course, that you’re a moron. Well ,in 1992 they have not invent…. discovered the global warming hole. or that there are dozens of different genders. and nowadays scientific reality turned into Anything Goes(as long as it does help promoting tge Agenda)where climate science can shift shape,goalposts and physical laws. is just weather and result of increased evaporation of heated oceans that somehow fail to heat the atmosphere with all their heat. But i am pretty sure a sharp increase in data adjustments will make january 2019 the hottest january ever by 2021.
danes haven’t updated their artic temperature graph in a couple days. They have, but did it late. Date at the bottom says Thu, Jan 31, 19:00:02 UTC 2019. But these geniuses think they can correctly predict the past every time, it seems. The Rampion offshore wind farm is working to reverse warming, it just saw it’s first proper snow since it opened, got rare snow on the beach on the south coast of the UK. Only a few inches, but it’s even laid on the main road. Also had a few nights of -8C but nothing really brutal. The warming hole is spreading.